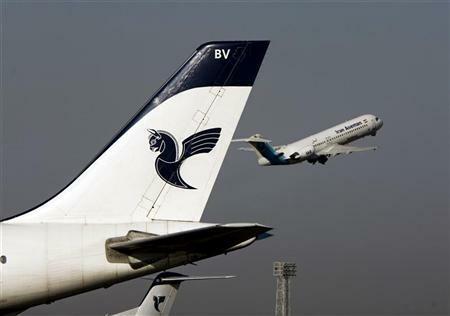 Majlis, Iran's parliament, has banned airplanes from flying in the country during the call to the Prayer (Adhan). Aircrafts will be allowed to take off 30 minutes after the call to the Prayer. This is what happens when a religious dictatorship takes over a country. Everything has to revolve around religious edicts. Iran must free itself from this religious fascist nonsense. They have turned the country in one large cemetery. These two sour grapes do not consider that the pilots and the flight attendants have wished to be allocated time to conduct their prayer when there is a call to prayer. The worst type of regime is the kind that is occupying Iran at this moment. may be you wished to make a hit at the regime for this one BUT HOW FAR YOU ARE FROM THE REALITY!! FACT ONE -SOME THINGS WERE CONCIDERED in this rulling one among them is the right of the CREW TO GET TIME TO OBSERVE THEIR PRAYERS! FACT TWO-this ruling guarantees the passengers to offer their prayers on the right time -a basic religious right!. FACT THREE - the MAJLIS is a peoples representative-and any ruling there undergoes a debate before it sees the light of the day!. 1. Are you saying that the crew were not given time to observe their prayers in the thirty-four years of the Islamic Republic, and only this week they were granted the right? Why? 2. Are you saying the Islamic Republic did not recognize the rights of passenger to pray in the past 34 years? Why? 3. Why Majlis waited 34 years to debate this issue. B.M.A....You are a fanatic! What has "prayers"got to do with running an airline? If you believe in a god,why not pray without all the nonsense that the Islamic fascists are causing? You can't run a modern country like the idiots occupying Iran are.The country is being run like a extended Mosque! This is a sure sign that the religious fascists time in Iran should be terminated by the force of the people. And another thing.The passengers don't give a damn about the prayers! All they're concerned with is to leave and arrive on time. ANGELS ARE NOT RULING IN IRAN!and you know better! -First like-IT IS like saying why did we wait for a long time on this BLOG of ours to make the current beautiful,easy to use,eye catching NEW LAYOUT!!. -second like-IT IS LIKE SAYING why did the Arab public wait for too long before demanding regime change in the Arab spring. SO I GUESS AN MP BROUGHT THE MOTION in the MAJLIS on this issue of prayer,AND IT PASSED WITH MAJORITY HENCE THE RULING!-so do you have any logical reasons behind it? Ha Ha Ha!! That's right B.M.A "ANGELS ARE NOT RULING IN IRAN" BUT THE DEVILS ARE! Nonsense! What sort of pilots and flight attendants are they? Unless of course they are related to religious families which doesn't surprise me with the corruption that is ingrained in this theocracy. And by the logic of the regime should a policeman stop chasing criminals because call to prayers has suddenly started? Truly laughable if it wasn't so sad.